I am so, so, so close to being done my Theory of Everything post. But–well, close isn’t done. In the meantime–hey, look! Pretty. 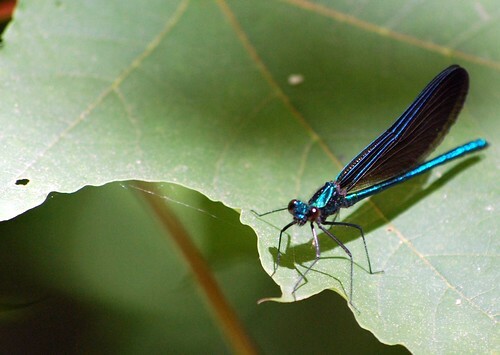 It’s a bluet. These are the ones that beat their wings so fast they look like tiny blue wands being waved by invisible elfin sorcerors. Closely related to dragonflies, but capable of folding their wings when at rest and with eyes on either side of their head instead of joining in the middle.